It's the work of Mary Wollstonecraft Shelley. It's the ancient alchemies. But surely it is the most fascinating study of human drives and needs. Creating the life we admire from stem cells and DNA fragments, science has never actually produced the gold that the old kings craved. In a sort of industrial fashion, a piece of silicone and some spare bits of heart muscle were put together by Kevin Kit Parker and his fellow researchers, writing in Nature Biotechnology. The result is meant to be a test-bed for future heart replacement models. But, as scientists tend to do, they got carried away with the idea! Instead of behaving themselves, they came back at night when nobody was looking and created a little moving object. Kevin told reporters, "the jellyfish was a first step in that we built a functioning pump with designer specs." This medusoid is named after the sexual phase of jellyfish and of course, you-know-who? (Only the snake headed goddess herself!) Perseus rolls in his tomb audibly. The serious nature of the research belies the obvious attraction of a new almost-living object that science can develop in so many ways. 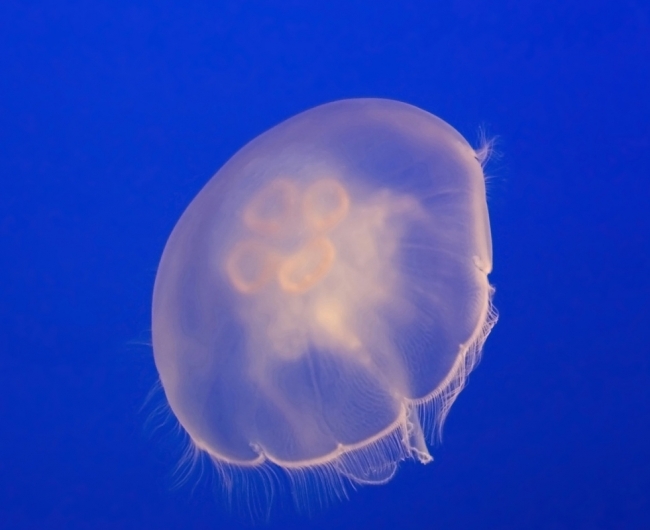 The little "creature" is brainless like the jelly, so its rhythmic pumping just keeps it moving simply. The electricity with which our muscles move was provided by an electric current in the sea-water. The thin inorganic silicone is placed with rat heart cells in the same way as the bell of a jelly aligns its muscle-like proteins. Useful in so many ways, not least by enabling drug testing without using animals, the medusoid will be put to work on heart research, as well as appealing to Kevin's inbuilt Frankenstein complex for artificial stingrays and octopus. Computing design programmes enabled a quantitative measure of the jellyfish and the artificial medusoid. Eh, Hey Presto! We have a functioning animal-like creature that is every bit as good as fiction. It's magic, myth and magnificent science.